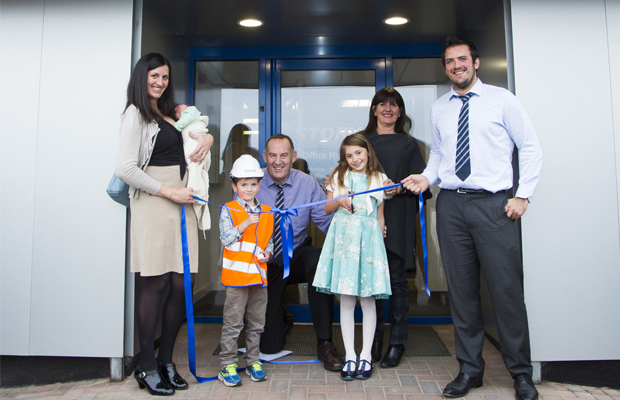 Story Contracting opened the new wing to its Carlisle head office on Friday. 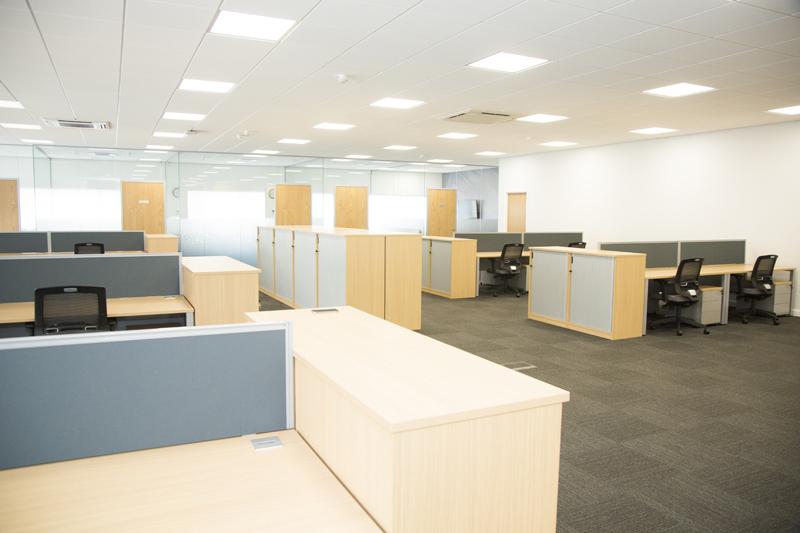 The extension of their office space at Burgh Road Industrial Estate will provide the family-owned business room to grow as it continues to expand and recruit a further 100 people during the course of the next 12 months. The double floor, steel structure at Burgh Road in Carlisle will house all 4 of the Story Contracting divisions; Rail, Plant, Construction and Reiver Homes turning the head office into a 25,000sqft space. The contracting business employs 563 and the business is set to grow by 30% this year. Story Contracting also has regional based teams working from offices in Chorley and Glasgow and depots in Leeds and Edinburgh covering the North of England and Scotland. Fred Story’s family businesses Story Contracting and Story Homes combined will employ over 1,000 people by March 2017. Combined, the two businesses currently employ 924. 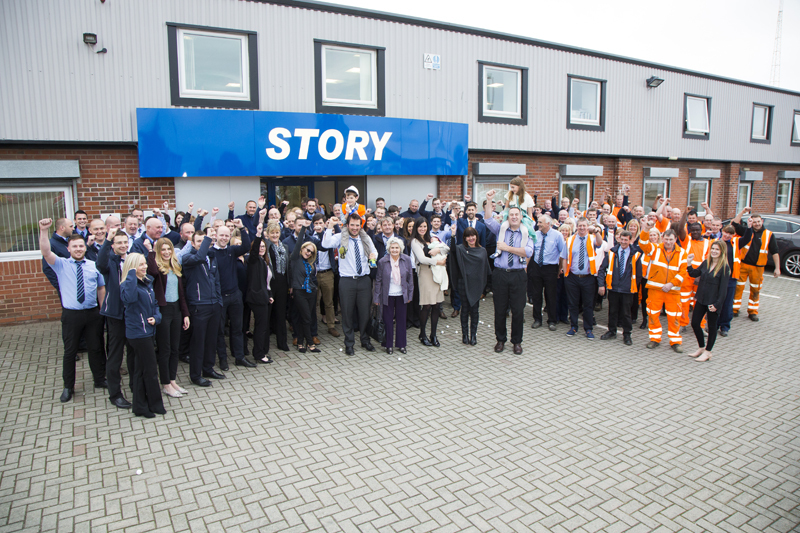 Story Homes is set to recruit a further 44 new roles in the coming year. The businesses begun in a porta cabin in Fred Story’s back garden in the 1980s with just three colleagues until the small team moved into the four acre site at Burgh Road in 1992. Story Contracting and Story Homes demerged in 2012. Story Homes moved into their new head office at Kingmoor Carlisle in February 2015 after developing a former RAF building. 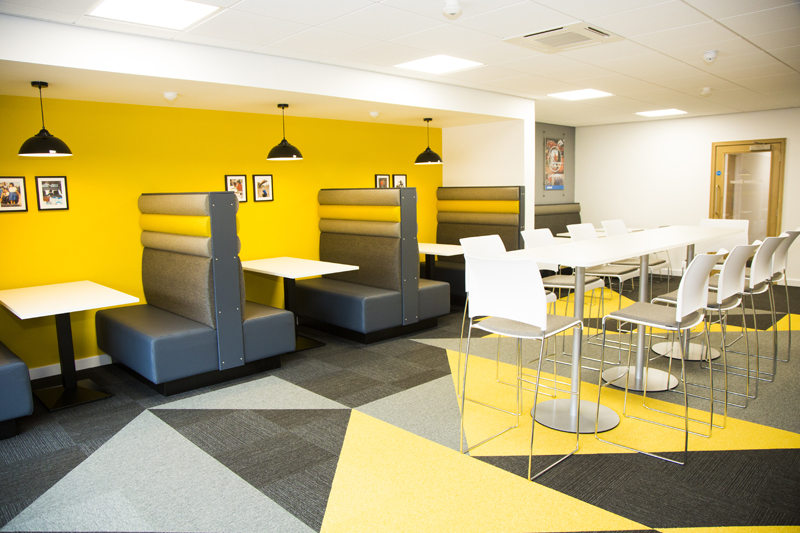 “Both businesses have grown and developed almost beyond recognition from the early days, we have continually out-grown our offices. Our businesses remain loyal to our roots and investing in jobs in Carlisle has always been a focus for me and my family, Story Contracting and Story Homes. With ambitious growth plans it is essential that our businesses are developed to remain fit for purpose and this includes the buildings in which our staff work. Both businesses have regional offices and teams growing in the North East, North West and Scotland allowing us to make sure we can service our clients and customers appropriately.